I wish I'd done a course like the one I'm currently teaching [Seriously though ... you really want to write a memoir?] , before or at the beginning of writing the memoir I recently published. [A Hippopotamus at the Table] . As I'm going through all the steps and pitfalls involved for my course participants, - the plot, the characters, the cultures, the timeline, the emotional content, the Point of View, the truth-telling or not, the dialogue, the consciousness of telling a story with real people involved and how they're going to react ... all this and more that's involved in writing memoir, I'm finding myself pulling all that info together for the second memoir that I'm writing. I've begun to plot it out properly, arrange the flashbacks better, think about the story threads and the teasers and weaving in of links. 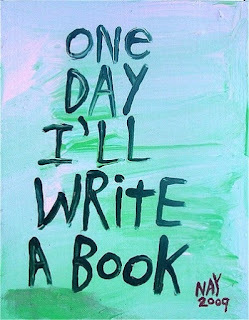 I did none of that when I wrote the beginnings of my first memoir down - all those years ago. I just wrote the story in a linear way as I could remember it. As someone once said to me - quite far down the line in the writing of it, 'It's like a series of anecdotes, strung together.' I spent ten years in writer's groups and did a masters degree to improve my writing ability and style and (hopefully) improve the way my story was put together. With my second memoir, I'm forewarned it seems and this course I'm teaching is reminding me of all I've learnt. If any of my group of course participants go on to write their memoir - I do hope they do, as there are some fascinating stories in the group. 'I've had an interesting life' one of them said to me, 'I feel I want to tell my story', another said, they will go forth with a lot of info that I gained through hitting problems that stopped me short for months or even years sometimes. They will at least be forewarned and better equipped to deal with them. But still, writing memoir, telling YOUR story, your TRUE story, however subjective your version of the truth is, takes a great deal of courage. If I set a few people on their way, giving advanced warning of the pitfalls and challenges to come, that'll be great.